No other winery has brought as much attention to Zinfandel as Ridge Vineyards. If you don't know Ridge, you don't know Zinfandel. When they were founded the idea was to make red wines and Zinfandel was more readily available on the grape market than was Cabernet Sauvignon. Some fellows who worked at the Stanford Research Institute were curious about wine and this "hobby" turned into one of the top wine "domaines" in California. 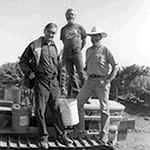 These guys were the original owners of Ridge...Dave Bennion quite SRI and became the winemaker in 1967 until they hired a young pup named Paul Draper to take over the winemaking duties. 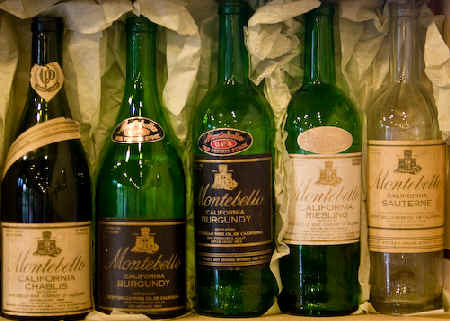 The Montebello name was used for Burgundy, Chablis and Riesling, once upon a time! With Cabernet in short supply, Ridge purchased Zinfandel grapes from Paso Robles, Napa, Sonoma, Mendocino, Amador and Lodi. The wines were all fermented individually and bottled either as a single-vineyard wine or as a regional bottling. This practice continues today, the flagship wines being "Geyserville" and "Lytton Springs". He later became VP of sales and then was the President/GM until his untimely passing in 2008. Ridge, you see, had a very early grasp on the idea of "terroir," finding the various batches of Zinfandel to be different depending upon where the fruit was grown. 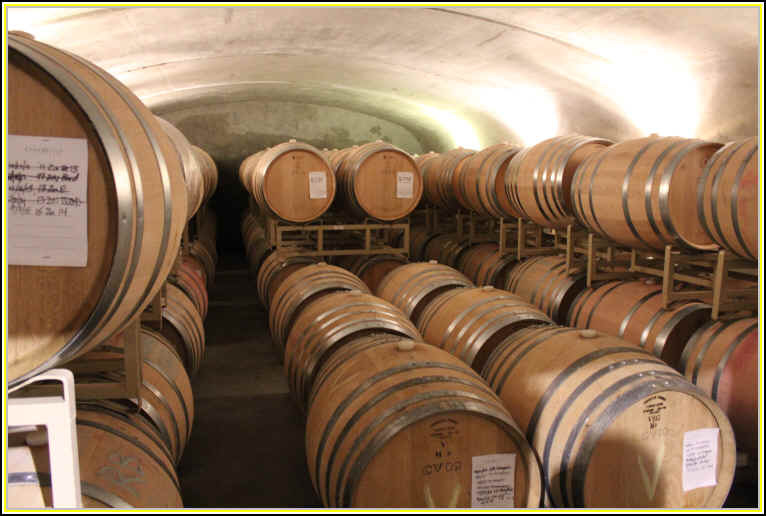 Over the years, Sonoma County has become a prime source for fruit and so they make a number of different Sonoma wines. They used to make dozens of different batches of wine. Sometimes they'd have a "late bottling" of a wine, what with cooperage and storage space being scarce. Experimentation has always been done at Ridge...and it's been quite a training ground for winemakers. Paul Draper came on board decades ago and he finally retired in 2016. At least, that's the rumor. His impact on the California wine industry is remarkable. Under his helmsman-ship, Ridge never chased scores or trends. They stuck to making good wine and wines for adult palates. Minimal cellar treatments are employed in an effort to bottle the most aromatic and flavorful wines. The wines of the early 1970s were really monumental, some of them still tasting like barrel samples today (backwards and youthful)! 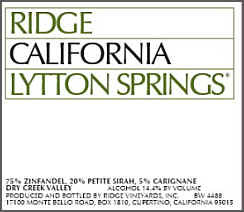 The winemaking has been refined over the years and today Ridge, generally, puts out a pretty good bottle of Zinfandel. What's interesting is the evolution of their wine and style since those early days. Wines from the early 1970s were hugely extracted, dark, often a bit potent (in those days, 14% alcohol was considered a monster...today you'll find Zins at 16+% alcohol!). Over the years the wines have become more elegant and refined. While they may have appealed to "new" wine fans in the early 1970s, today they may appeal to more "mature" palates. At one point in time, wine writers would advise readers to know the "3 R's of Zinfandel, Ridge, Ravenswood and Rosenblum." Given some of the spotty wines of Ravenswood and Rosenblum, I'd say you only need to know one "R": Ridge. We have several wines in the store, typically. And keep in mind Ridge is a source for some of California's best Cabernet and Chardonnay. The 2016 Lytton Springs comes from this special vineyard in Sonoma near the Dry Creek Valley. It's an older vineyard and is a field blend...the old-timers planted a number of odd varieties in the same vineyard with the idea of producing a blended red without their having to do blending trials in the lab. In fact, nobody in those days had a lab. This vintage has a modest level of tannin, but it's certainly drinkable in its youth. Beautiful spice notes...brambly and a bit of pepper. Very fine. Three Valleys takes the place of what used to be called "Coast Range" in the really old days and "Sonoma Station" more recently. It is a Zin-based blend with fruit coming from the Russian River, Dry Creek and Alexander Valley regions. I suppose if they had grapes from Glen Ellen, for example, they'd have to re-name it Four Valleys. The 2016 is very good...and well-priced. The 2016 Geyserville is a full-bodied, berryish and mildly spicy Zin. Brambly and notes of cocoa make for a complex, deep wine. It's drinkable now, certainly, and will cellar well for 3-6 more years (at least). Very fine. This is the 50th+ vintage of the Geyserville bottling...time flies when you're having fun! 3 Liter bottles of Geyserville and Lytton Springs are usually in stock, as well. When you're an old-time winery with a long track record, you're often over-looked by those searching for the latest, most 'hip' wines. 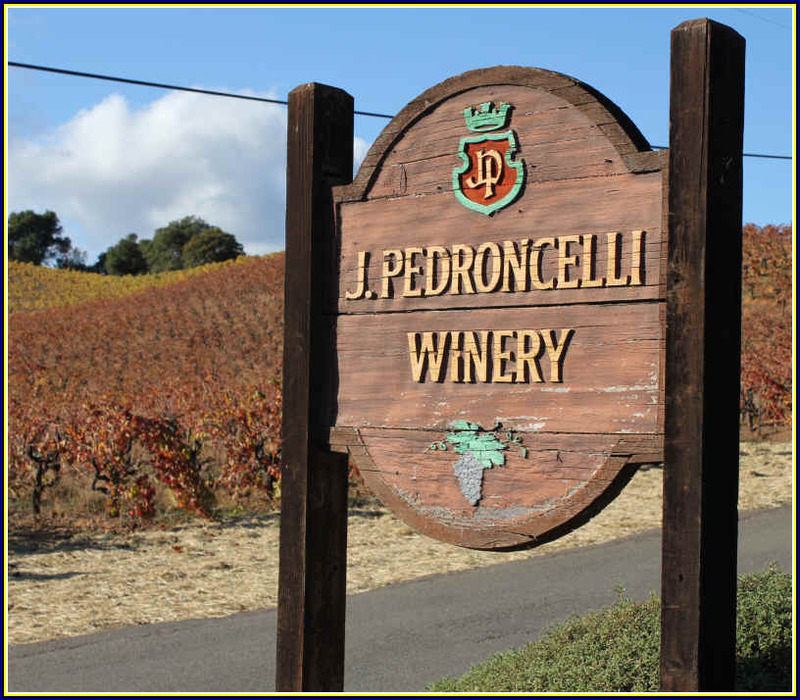 Pedroncelli has been around for decades and we've known their wines going back to the late 1960s and can recall tasting their excellent 1970 Pinot Noir and 1970 Cabernet Sauvignon. The family still runs the place, a smallish facility on Canyon Road in Geyserville. We usually have a number of wines from Pedroncelli as they make good wines which are sensibly priced. They get little recognition from today's critics, since the wines are not amped up and tasting as though they were made from grapes "on steroids." 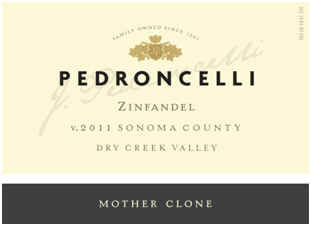 We've been especially fond of their "Mother Clone" Zinfandel, made from a vineyard within the Dry Creek appellation. The vines were propagated from their ancient, about-100-year-old original parcel of Zinfandel planted by Grandpappy Pedroncelli. The vines are actually about 30+ years old, though they do blend in the grapes from the quarter acre parcel of original vines. They also get a bit of fruit from a 50 year old vineyard and another parcel that's close to 20 years of age. A blend of Zinfandel and (12%) Petite Sirah, the 2015 is a delicious wine. Lots of nice berry fruit and some brown spice tones make for a delightful combination. It's matured in American oak with 30% of the barrels being brand new. The wine is not sweet, nor is it the over-the-top style which catches the fancy of wine "tasters," who have a different perspective than wine "drinkers." On the other hand, it works well with food and you can share the whole bottle with a friend or two and live to tell about it. We've found the wine is one of those bottles which seems to benefit from being opened well ahead of time and/or splashed around in a decanter. It simply seems a bit quiet or subdued at the outset and then, after an hour, or so, it starts blossoming and showing its true colors. 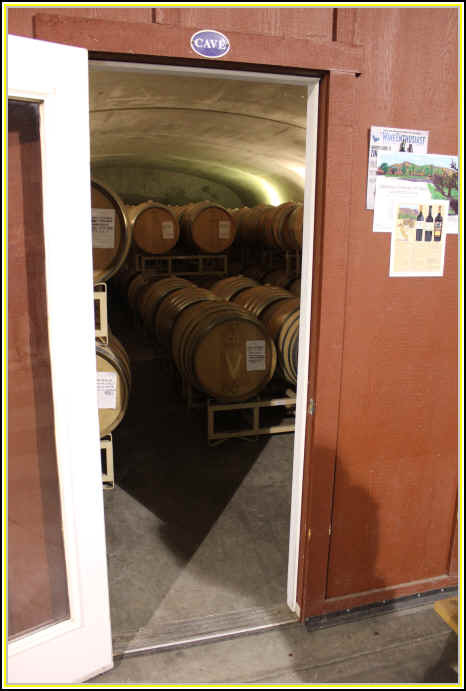 In July of 2017 the winery hosted a 90th Anniversary event for some of its wine industry friends...people from neighboring wineries, distributors across the US and two retail wine merchant from around the country. We we honored to be on the guest list. Here's a link to a page with photos and tasting notes from that remarkable day. We tasted a number of old vintages of Zinfandel and they were impressive. The Seghesio family has been making wine in Sonoma County since the late 1890s. The winery used to be a "bulk producer" and only in the 1980s did they start bottling their own wines. The new generation of Seghesios convinced the old-timers that investment in stainless steel, temperature-controlled fermentation tanks (to replace the open-top, cement tanks) and minor details like small oak barrels would be a good idea. I know the "kids" were persistent and today they're making some terrific wines. Sadly, though, one of the family was instrumental in engineering the sale of the family business. 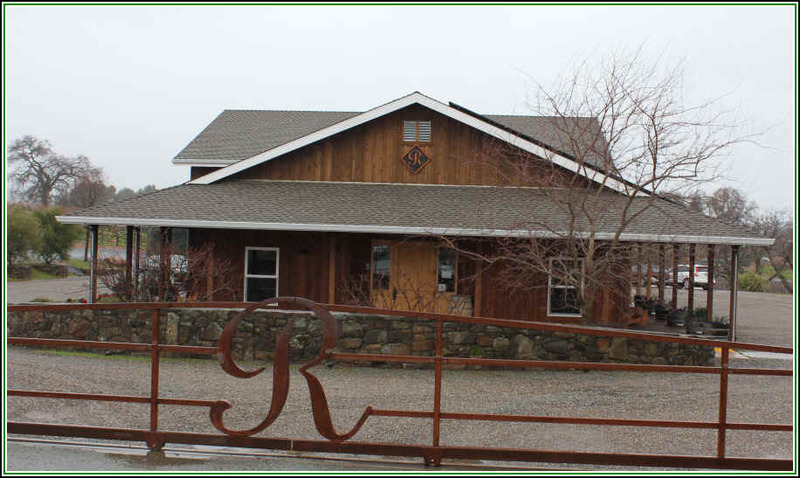 Today the winery is owned by a smallish wine company that has interests in Washington, Oregon, Napa and the Central Coast. One perspective on the sale was that as the family had grown, keeping all the various branches of the family happy was a challenge. Perhaps selling the whole enterprise to a non-family member might be for the best. We know not all the members of the Seghesio family were thrilled with this idea. Ted Seghesio remains at the helm of the winery and he's producing some nice wines. We used to have a stack of Sonoma Zinfandel in the shop but, now being owned by a large company, deals are made with chain stores in order to make large volumes of wines disappear. As a result, the distributor doesn't offer this to us at a sensible, competitive price level. so we've discontinued carrying this wine. 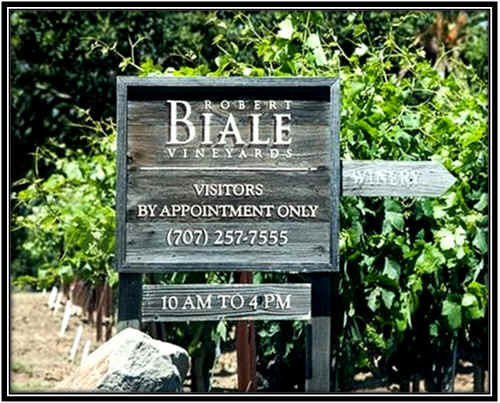 The Biale family has been growing grapes and other crops in the Napa Valley for many years. We were early fans of the Biale family's wines after a customer had shared his enthusiasm for their wines one day. We ended up tasting some of the wines, liking them and bringing them in to the shop. One customer, seeing the name Robert Biale on the labels, shrieked out "Bob Biale! He's a chicken farmer!!!" 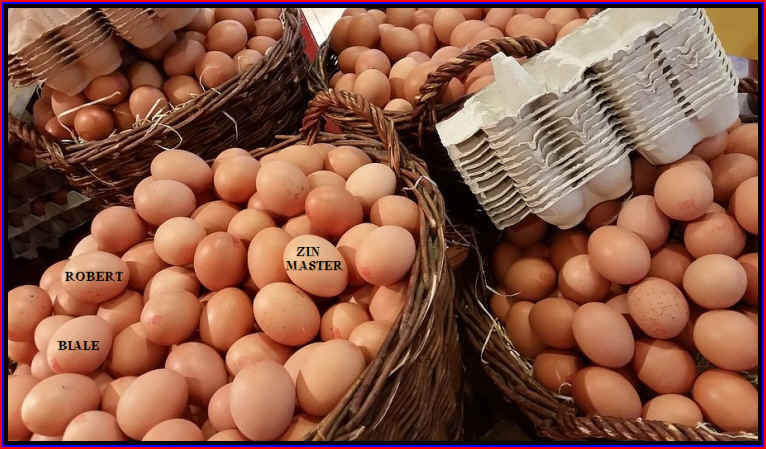 She had lived in the Napa Valley and used to purchase eggs from the Biale ranch. The Biale family came from Italy and settled in the Napa Valley in the 1930s. 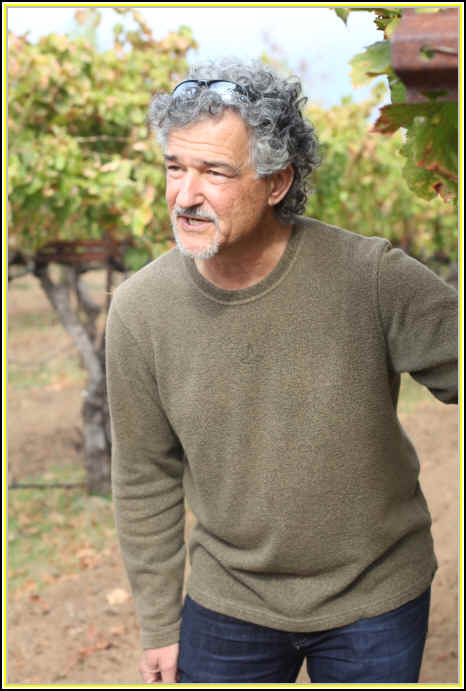 Pietro Biale had planted some Zinfandel on the family property and most of the grapes went to the Napa Valley co-op. But Biale, who worked in a local rock quarry, was killed in some sort of accident there. His young son, Aldo Biale, learned to make wine having been taught by Pietro's brother Angelo. Aldo made some wine in addition to cultivating plums, zucchini, etc. Since he was "under age" at the time, he was afraid of being busted for being in possession of alcohol and, besides, winemaking was regulated by the government so he would need licenses which, as a kid, he could not obtain. Aldo and his mom raised chickens and sold eggs, as well, so he came up with the idea of having customers who wanted wine to ask for the "Black Chicken." (The Tuscan consorzio of Chianti Classico producers had the Gallo Nero (Black Chicken/Rooster) as its symbol). You see, the telephone system was such that most people shared what was called a "Party Line." This means when you picked up the phone, you might hear your neighbors conversing. 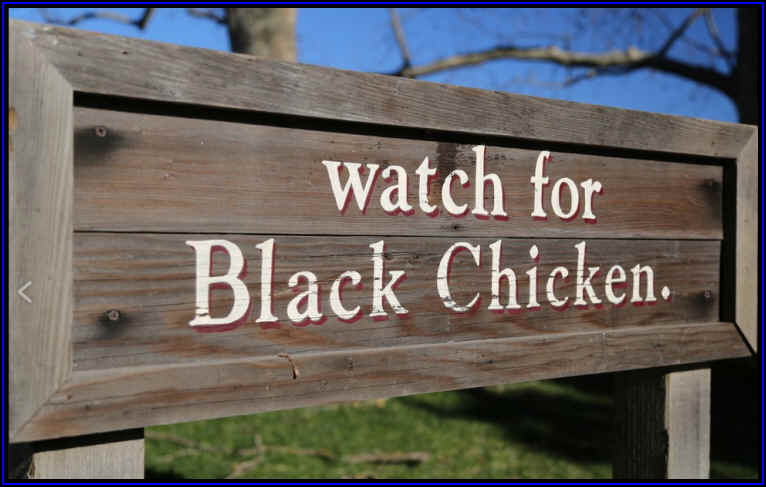 So Aldo Biale instructed customers that when calling to order something, if they wanted wine they should simply as for a "Black Chicken." They have a vineyard designated as "Black Chicken Ranch" and this site is close to Oak Knoll Avenue in the somewhat cool climate Oak Knoll District just north of the Carneros region. Somehow in this "cool climate," they make a wine which clocks in at north of 15% alcohol and yet, amazingly, it doesn't show overtly jammy characteristics. The juice is left with the skins at low temperatures to inhibit the fermentation for a few days...then they warm the tanks and inoculate with yeast. 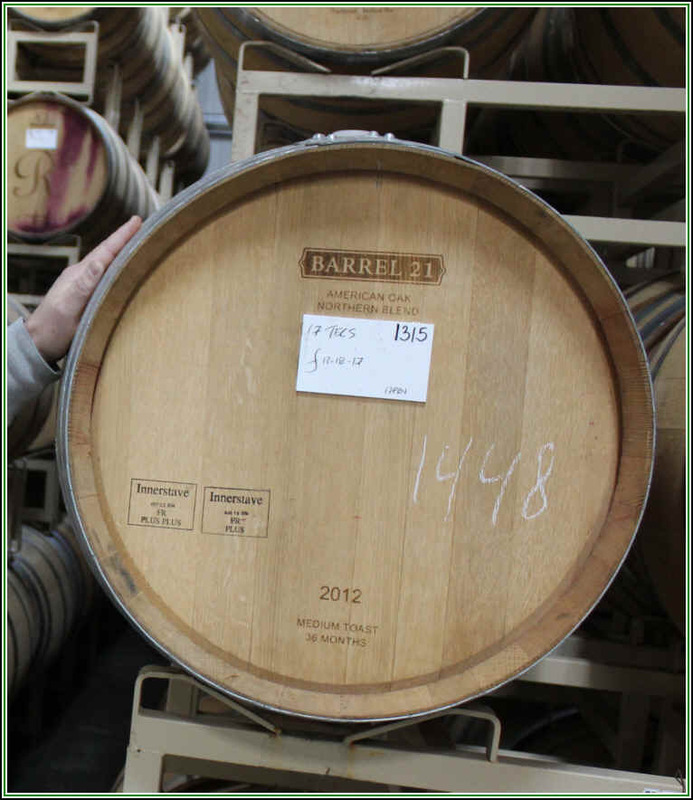 After the fermentation is completed, the wine goes into French oak cooperage, about 20% of the barrels being brand new. The 2015 Black Chicken Zin is deep and nicely spicy. It's a wine showing notes of blackberries and dark cherries...Fruity and I find a nice shading of oak in the wine. It doesn't seem like a wine that warrants cellaring...it's rather flashy at the start and probably best upon release and maybe a few years following that. There's a blend of two vineyards from Napa called "Founding Farmers" Zinfandel. 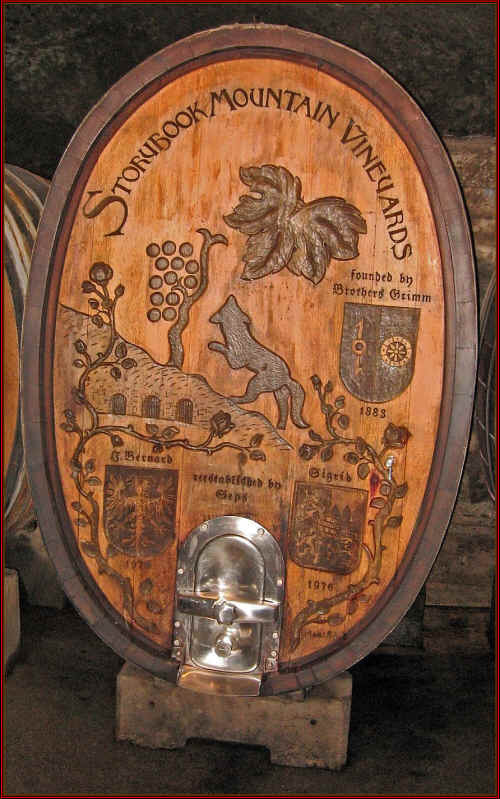 Varozza and Old Kraft are located in St. Helena and are both venerable vineyards. It's vinified like the Black Chicken Zinfandel and sees 25% new oak. Founding Farmers is another high octane Biale wine, so fasten your seat belt at the dinner table when serving this. It's another big, intense, full-throttle red. If your name is Duane David Dappen, I suppose you had no alternatives but to name your Zinfandel "D-Cubed". Dappen started his winemaking career working for Mike Grgich at Grgich-Hills before leaving to work with Dr. Jerry Seps at Storybook Mountain in Calistoga. From there he went on to work for the Rombauer family winery. He's making his current wines at the Brown Family winery in Chiles Valley (Napa). Under his own label he makes a rather peppery Howell Mountain-grown Zinfandel. We've been quite happy with most D-Cubed Zins. They tend to be exuberantly berryish and have a nice bit of spice to them. From the 2009 vintage we have their delightfully gentle, yet beautifully flavorful Napa Valley bottling. It's said to be 100% Zinfandel and it sure tastes good! Lots of blackberry fruit to this medium-full bodied red. It's bright, fresh, zesty and has a touch of a cedary note from the oak. It's smooth enough that we like to serve it at cellar temp. The Sierra Foothills seemed to be a hotbed of Zinfandelity back in the early 1970s. Sutter Home was making its deep, robust Deaver Vineyard Zin, Ridge dabbled with a few Amador Zins and the upstart Montevi�a were making waves back in the day. Since then, Sutter Home makes its money on White Zinfandel, Ridge lost interest in Amador and Montevi�a is now owned by Sutter Home and they make 'standard' wines. There is a handful of artisan producers in "them thar hills," but while the region was of interest to California connoisseurs back in the 1970s, being on par with Napa and Sonoma, these days you have to look diligently to find some worthy bottlings. 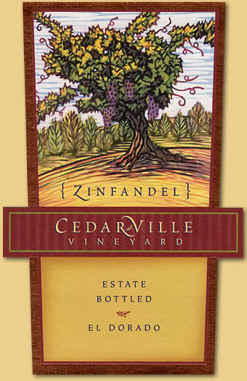 One of our favorite estates is Cedarville, a small "Mom & Pop" cellar owned by a couple of former Bay Area wine geeks. 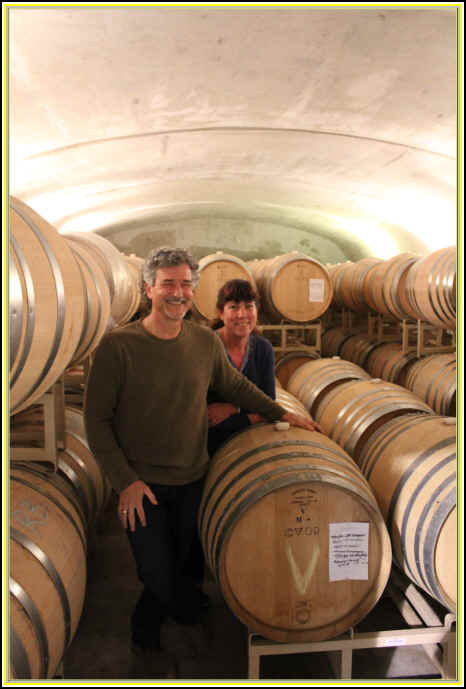 Jonathan Lachs and Susan Marks had studied winemaking at UC Davis, but took actual "paying" jobs in the Bay Area to save up enough cash to invest in their winemaking endeavor. In the mid-1990s they took the plunge, buying a property in the town of Fair Play, about a half hour south of Placerville. The estate comprises about 20 acres, with 15 of those devoted to vineyards. They farm "sustainably," farming their grapes organically since 2010. Zinfandel from this vineyard can be rather charming. The 2014 sure is. The growing season was again a dry one...third year in a row. Yields were smaller than normal as a result and the harvest began a bit earlier than normal. You'll find a hint of plum and a touch of spice here. Petite Sirah may give a bit of body to the wine and perhaps a spice note, too. It's a ready-to-drink wine...best now and it should hold nicely for another three to five years. 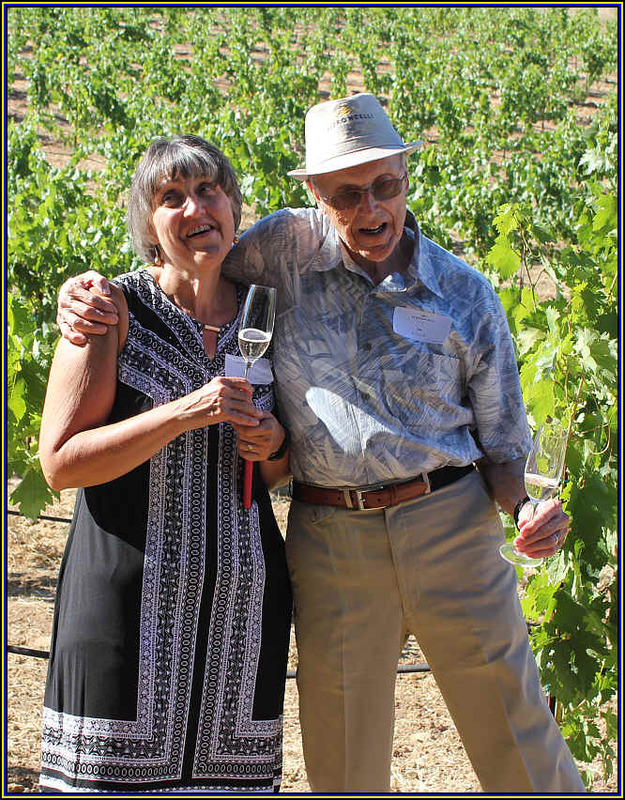 Dr. Jerry Seps was a professor or European history and he and Mrs. Seps had purchased a "ghost winery" in a remote location up in Calistoga. The ghosts inhabiting the place were those of the brothers Grimm, but not the legendary story-tellers. This Grimm family had roots, and still does, we're told, in German wine. I know there's a Grimm weingut in the Rheinpfalz, so perhaps the boys emigrated from there back in the late 1800s? They're located several miles north of Calistoga and quite close to the border of Sonoma County. With eastern slopes in the Mayacamas Mountain range, Jerry explains some of the vineyards are close to 2000 feet in elevation. Plus, many of these vineyards are facing east so they don't see the intense heat which can easily dehydrate the grapes and contribute the over-ripe, jammy notes you find in many Zinfandels. 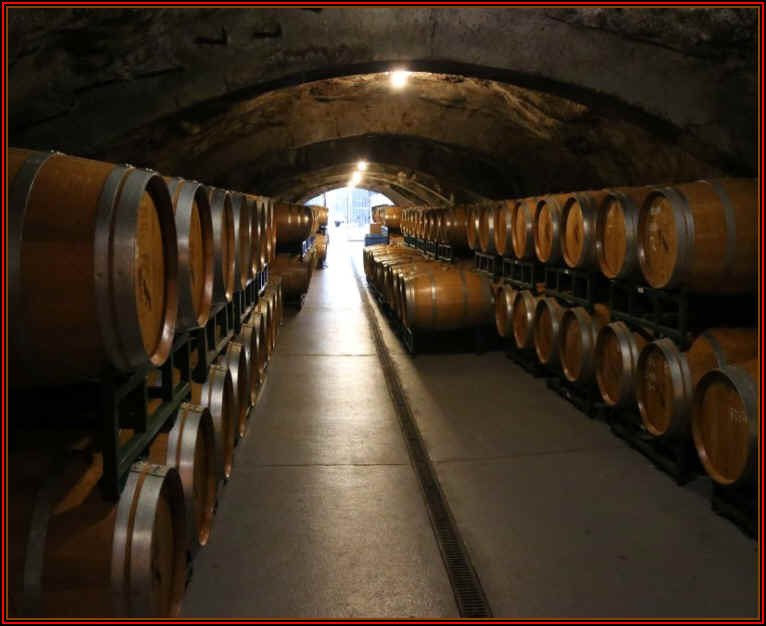 Over the years, Seps has continued to produce elegant wines. This, despite the current fashion of "Zins-on-Steroids." Jerry has long been passionate about Zinfandel and I know it pained him to see so many vintners creating huge, mammoth wines with plenty of color, too much alcohol and tons of tannin. Seps, I suppose being an historian, was well aware the market for Zinfandel was nearly killed around the early 1980s since winemakers "pushed the envelope" by making fruit bomb wines which were merely jammy, raisiny reds to the point where many consumers lost interest. What's the point of buying a wine you cannot drink? He was also aware of many wineries considering pulling out their Zinfandel in favor of planting more "expensive" varietals such as Chardonnay and Cabernet. I'd seen Jerry one day and he was preoccupied with calling a winery owner in the Valley to urge him to not pull out his Zinfandel vines! Seps realized he "needed" more wineries making Zinfandel for the variety to continue to be viable in the market. 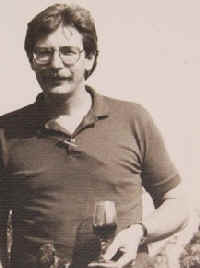 Jerry was instrumental in founding the ZAP group, Zinfandel Advocates and Producers. He got a few producers together with Margaret Smith, who'd been at Sunset Magazine years ago and then was working on organizing wine "events." Together they got ZAP off the ground and today the San Francisco ZAP tasting is pretty much out of control. Zinfandel sales continue to be strong, thanks to Seps' great efforts. Though "new" wineries have sprung up over the years and Turley and Robert Biale garner high numerical scores from various critics, Seps has retained his elegant, "claret-styled" Zinfandel. If you're looking for the huge, late-picked, "gobs-o'-fruit" style of Zinfandel, Storybook Mountain Zin might not be to your taste. It's not sweet, jammy or "over-the-top"-styled wine. Jerry, after all, makes wine for "adults" and he makes wine for "wine drinkers." He is a "living legend" and the hundreds of new Zinfandel producers around the state owe him a major debt of gratitude. Major. The 2014 Napa Valley Zinfandel comes from vineyards at the northern part of the Napa Valley in the Mayacamas Mountains. In fact, it's bottled as "Mayacamas Range" Zinfandel. They do a couple of green harvests and it's perhaps a result of such a severe regimen in the vineyards they're making such potent Zinfandel these days. Still, the wine is a bit tight by comparison to so many other California Zinfandels. It's firm and mildly tannic on the palate. You'll find some nice red fruit notes and maybe a touch of a cola tone. There's classic Zinfandel spiciness, too. A well-seasoned leg of lamb is another great match. And it's one of the few Zinfandels we find worth cellaring for a few years. This wine is made for adults, rather than kids, if you know what I mean. 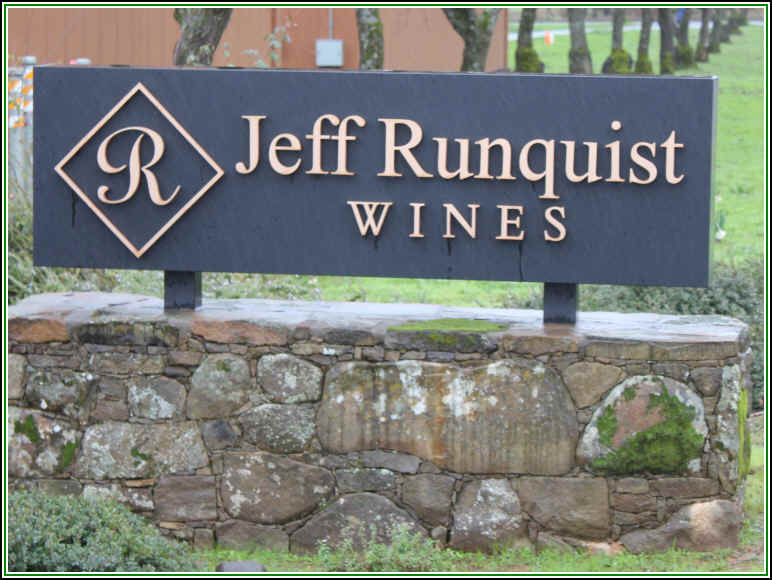 Winemaker Jeff Runquist launched his own brand in the mid-1990s after working at a Paul Masson wine facility in the Central Valley, working at Montevina winery in Amador County and then at the J. Lohr winery in San Jose. Then he became the winemaker at the McManis Family winery in Ripon, California, producing oodles (that's a technical term, well understood by accountants and CPAs) of Central Valley wine. He's now focused on his own brand and he's making quite a range of different wines. But his "Z" Zinfandel is a flagship wine for Runquist and the fruit comes from the old Massoni vineyard in Amador County. Jeff has a good recipe for making this wine and it, like most of his wines, is showy and consumer-friendly in a variety of ways. What is especially interesting is that Runquist's Zinfandel is consistent in its big fruit and fragrant oak style. But we're surprised to learn that Jeff lets his various grape growers "do their thing" in the vineyard. They even get to make the call as to when the grapes should be picked! He told us they are the experts in coaxing the maximum character from the vines and they understand his goals in making stylish wine. If you like a wine that's dark and youthfully purple in color, teeming with berry-like fruit and framed by plenty of cedary oak, this may be your wine. It's big, but gentle on the palate, another feature of Jeff's wines. Runquist describes the wine as a "Pinot Noir of Zinfandel." His style is distinctive, though. I can tell you I've been invited to be a judge at the San Francisco International Wine Competition tastings each summer. On the final day when we have the big show-down of picking the best of the best, a Runquist wine is often in the mix. And I can pick his wines out of the tasting, typically. Despite his winning a bunch of medals, he remains rather down-to-earth. One time he was riding around with a sales rep whose portfolio featured lots of wines from winemakers who had lofty opinions of their own wines. The rep told me "You can buy one case of this winery's Sauvignon Blanc per order, with one per week being the maximum." I teased Jeff about what he could "learn" from this sort of sales program, but Runquist remarked "You know, the only time I want to tell a customer they can't have my wine is because it's SOLD OUT." The 2015 is blended with 8% Petite Sirah, Jeff's go-to blending grape for Zin. 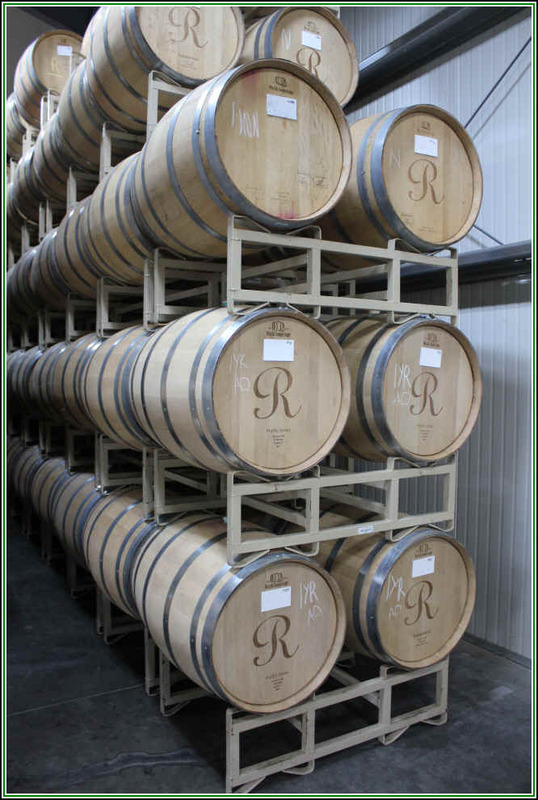 The wine is matured in both French and American oak and the wood is always well displayed in the wine, yet there's so much dark berry fruit, you likely won't find it to be woody or over-oaked, despite the rather lavhish wood treatment. In his early days of making "Nalle" Zinfandel, this was a much sought-after wine. Anybody who knew anything about Zinfandel had to have Nalle wine. Today, though, not many people know the name, since the big, brain-buster style of Zinfandel scores points with the critics. 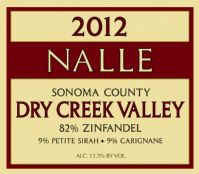 As a result, Nalle is, today, a bit "under the radar" of most Zin drinkers, though he still has a very loyal following. Zinfandel comes from older vineyards. Some from seriously older vines. About 20% new French oak each year gives just a touch of a sweet spice to his wines. Years ago, I was fortunate enough to be invited to taste his 2000 vintage out of barrel, back to each and every vintage to 1990. These wines, for the most part, age quite nicely. They are not likely to win blind-tastings, as the wines are not the "in-your-face," high alcohol, high oak, slightly sweet concoctions which seem to catch the attention of the critics. Nalle's Zins are, almost always, less than 14% alcohol. These are wines for the mature wine drinker, rather than the young whippersnappers out there who need a wine which "rocks." For some people, this sort of wine is a bit to subtle...they prefer the bombastic, pushing-the-envelope, over-the-top, gobs o'fruit sort of Zinfandel. This ain't it. This is Nalle Zin. We've known Mark Neal for many years. He runs his family's vineyard management business in the Napa Valley, cultivating hundreds of acres of grapes for all sorts of wineries. He launched his own brand of wine in the late 1990s. Aside from his wines being well-made and attractive, Mark prices them so consumers can afford to drink them more frequently than once-in-a-lifetime (unlike many Napa vintners). We like the blackberry fruit notes and there's a faintly spicy tone with some sweet wood elements. It's a medium-full-bodied red and ready to drink in its youth. 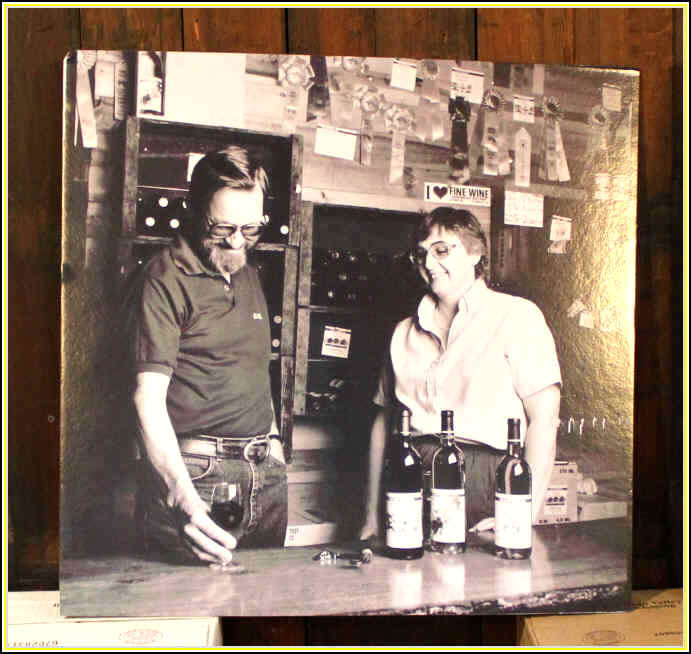 We met Leon & Shirley Sobon decades ago and they had just started their Shenandoah Vineyards winery. Leon had been employed by Lockheed and was a real rocket scientist who also dabbled around as a home winemaker. 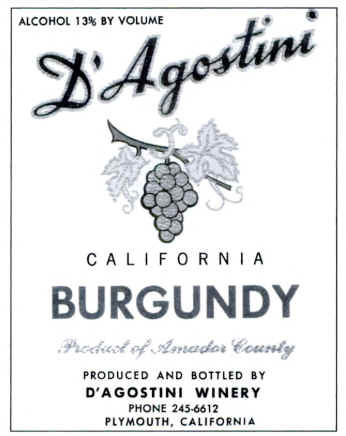 Things got out of control in the early 1980s and their Shenandoah brand was quite popular, allowing them to purchase another old-time, family winery in Amador County: the D'Agostini Winery. ((We had been fans of D'Agostini's wines, as they were a good source of modestly-priced Zinfandel or was it simply called "Burgundy"? 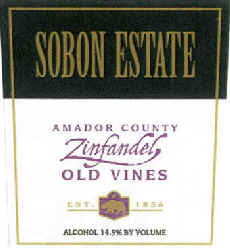 I'm pretty sure the boxes of Sobon Estate Zinfandel makes mention of something like "150 Years of Winemaking." We remember Leon as being a bit of an "old-timer" back in the 1980s, but we had no idea he was THAT OLD! 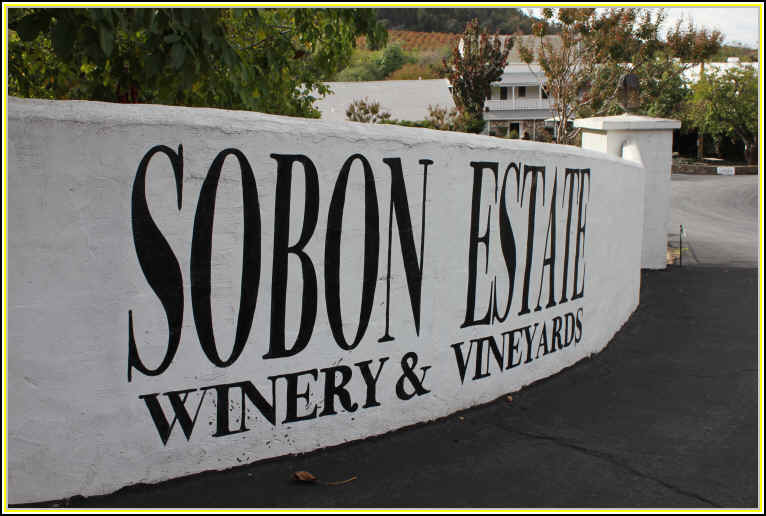 Unlike so many brands of wine from Napa and Sonoma, where wines are priced to accommodate fancy automobiles, Ivy League educations for the owner's children and a small yacht in Portofino, the Sobon wines are offered at prices based upon the cost of production, a modest margin to allow them to keep the lights on for another year and gasoline for Leon & Shirley's son-in-law to make sales calls. The "Old Vines" bottling is produced with the idea of being immediately drinkable, low in tannin and with plenty of fruit. And it seems they've nailed it nicely. We prefer such a soft, smooth red served at cool cellar temperature (lightly chilled to 45-55 degrees). It's not a wine for aging, so enjoy the wine while it's young. There's a special bottling coming from Pre-Prohibition era vines. It's blended with a bit of Petite Sirah and matured in both French and American oak. We included this in a blind-tasting of California Zinfandels. It was competing against wines in the $30 to $50 and the Sobon Rocky Top was the first place finisher by a good margin. The wine is beautifully balanced, showing nice fruit and mildly woodsy notes. It's not especially tannic, so we'd suggest drinking it in the near-term, not holding it for a lengthy time frame. You can easily pair this with all sorts of California cuisine, Mediterranean fare, etc.